This lovely, old fashioned Broccoli variety is a very disease resistant, very hardy and very prolific producer of large dark green heads. 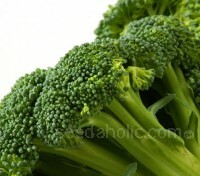 Italian Green Sprouting Broccoli is very easy to grow and will produce a number of good-size side shoots once the initial head is harvested. 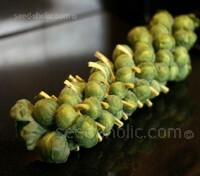 Brussels Sprout Groninger is a second early variety noted for its great tasting sprouts. 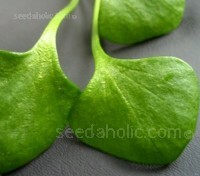 It produces medium sized green sprouts and gives a steady supply through the autumn and into the winter. Harvest October to December - perfect timing for that all important Christmas Dinner. 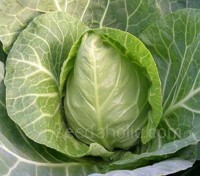 Cabbage 'Violaceo di Verona' is a winter Savoy cabbage from Northern Italy. 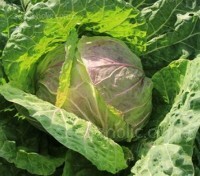 A cross between a savoy and a white cabbage, with dark green and violet leaves. 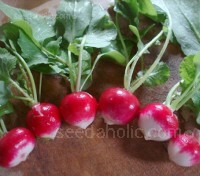 Frost hardy and and long standing it can be harvested from July until mid-winter with successional sowings. ‘Machu Picchu’ is an exciting new Capsicum chinense cultivar that originated in Peru, the home of many of our best chillies. The elongated, slightly wrinkled chillies, which ripen to an unusual dark brown have a rich flavour and a mild to medium pungency. 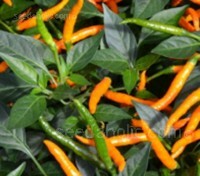 A new and very beautiful, flavoursome chilli ‘Orange Tyger’ offers a great citrus flavour and amazingly complex pungency. 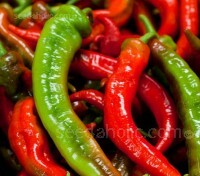 Suitable for Northern European cultivation, this is an essential variety for Thai style cooking and a really interesting experience for the chilli lover. "And it burns, burns, burns...the ring-o-fire. The ring-o-fire." Johnny Cash was right, these pepper do burn - 'Ring of Fire' is an early and extremely hot cayenne type which is very quick to mature. 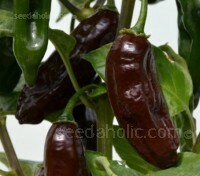 It producing an abundance of thin curved fruits and is often the first hot chilli to ripen. Organic Seed. Volcanic - approx 1,200,000 SHUs! The Moruga is thought to be a cross between the Trinidad Scorpion and Red Savina chilli, once the hottest chilli in the world. Its true that extreme pungency of these chillies limits their culinary value for most people, but aside from the heat, the Trinidad Moruga Scorpion has a rich fruity flavour, sweet with a floral fragrance that is perfect to add a bit more kick to a home-made hot sauces. 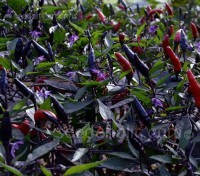 'Zimbabwe Black' is a spectacular edible, but also a very ornamental pepper with a striking tiered habit, unique purple foliage and purple flowers. 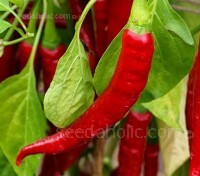 This dual purpose cultivar, produces masses of edible mild chillies on highly ornamental plants. Ideal for flower borders and prime candidates for container gardens. 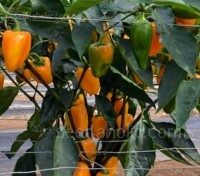 'Dependable and delicious, ‘Jimmy Nardello’ is a highly prized heirloom pepper used in Italian cooking. 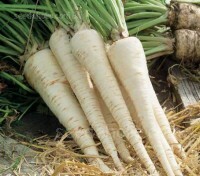 Recently rated as the sweetest non-bell pepper, the plant does well in most areas and is very prolific, with the fruit being one of the sweetest and most palatable varieties that you can find. Organic Seed. Little heat, to 500 SHU. 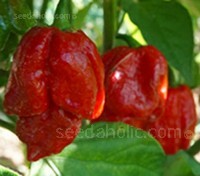 Pepper ‘Midas’ is an interesting cross between a thick walled chilli and a sweet pepper. Golden yellow, with a crisp juicy flesh and a delicious flavour, they have just enough piquancy to remind you that it's a pepper. Ideal for the home gardener because of its compact growth and high productivity. Looking exactly like fairy tale pumpkins in children’s storybooks, Musquée de Provence is a gorgeous French pumpkin that is one of the only pumpkins that is eaten raw. Sweet with a light crunch and typical nutty taste, the very fine-grained flesh is considered by many to be superior to any other. 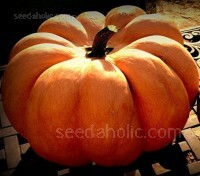 This very old Italian Heirloom rustic variety originates near Venice and is considered the King of Italian Squashes. 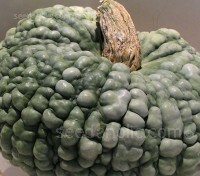 Round, short, and squat in shape, the dark green to grey-blue skin has slight, vertical ridging and is almost completely covered in bumps. When cooked, Marina di Chioggia squash is tender and sweet with nutty flavours. Tomato ‘Sweetie’ is a fantastic new variety, a super-sweet red cherry tomato with high sugar content and full bodied tomato flavour. 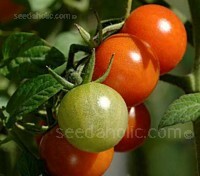 The plants are early, vigorous and reliable, producing crack resistant, high quality fruit even in adverse conditions. 65 days.